Put treats inside a Hing Ball Toy and your small dog will have fun working to get them! You can earn 10 Golly Gear Rewards Points on this product! Our little dogs are sometimes too smart for their own good. 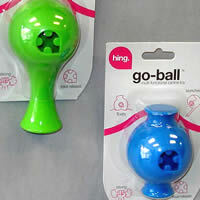 Hing has designed these innovative Ball Toys to challenge our smart small dogs! 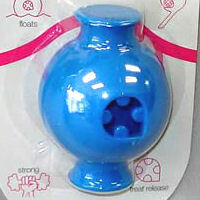 The Ball Toys are made of rubber and are certified pet-safe. Your little dog will be rewarded, playing with a Hing Ball Toy, but she'll really have to work for it! Each Hing Ball Toy features the innovative treat release. Put some treats inside and your little dog will really have to think to get them out! 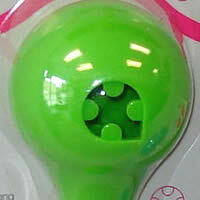 Each Hing Ball Toy has two treat release spots. Throw it or Launch it! 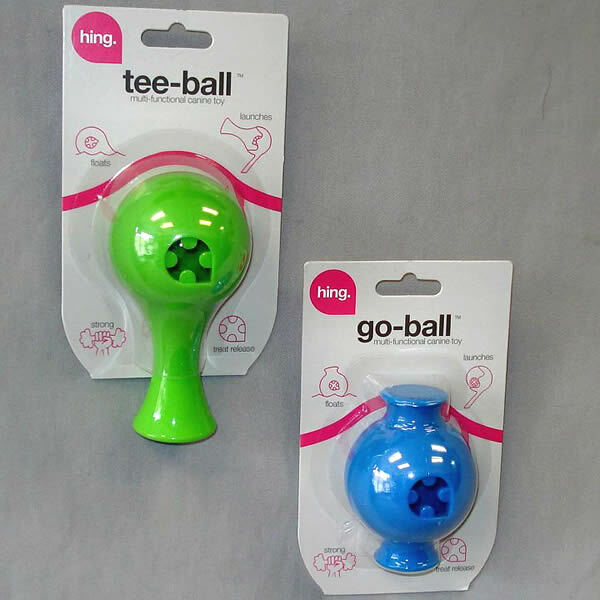 The Hing Ball Toys are great to toss for your little dog to retrieve. 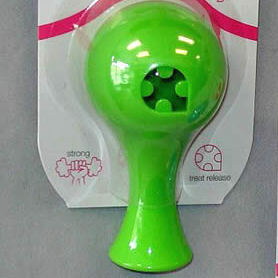 Plus, they can also be used with a ball launcher, like the goDog Retrieval Wingerz! And the Hing Ball Toys float!